The new excitement in my life is that I’ve finally gone Mac. 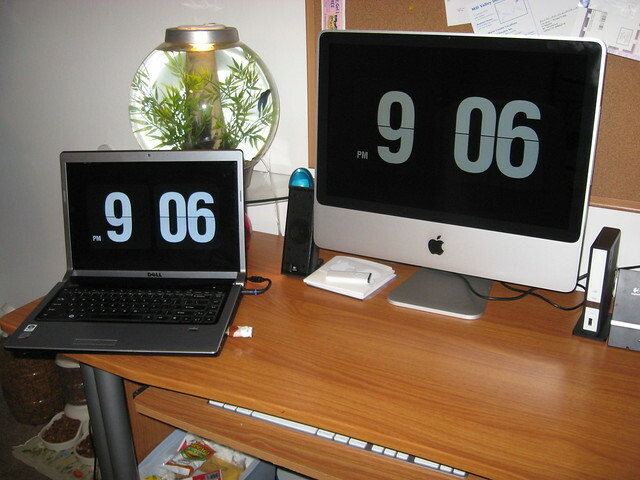 Not 100% as I still have my laptop, but I figure I keep it awhile until I am confident enough to go Mac all the way. For the past few months I’ve been running into the same problems with my laptop that I did with my first one, and rather than having to put up with anymore Windows BS I decided to try Mac. I figured I might as well seeing as all my other gadgets are Apple. I decided to go with an iMac, mainly because I cannot afford a MacBook (remember I’m still in debt for my car, haha). Plus I’ve been using my laptop so much like a desktop already that I figured it’d make sense. I’m still getting used to Mac’s shortcuts and being without my Windows ones, so it’s quite a transition. One thing I am really mourning the loss of is my software used to ripping DVDs; however I need to spend some more time at iLounge reading up on how to rip movies for Mac. Until then, I’m glad I still have my laptop!